150 years ago, the country was deeply embroiled in war. The American Civil War began when seven Southern states (South Carolina, Mississippi, Florida, Alabama, Georgia, Louisiana, and Texas) seceded from the Union. After fighting began in April of 1861, four more Southern states (Virginia, Arkansas, Tennessee, and North Carolina) joined the Confederate States of America in fighting the United States of America, leading to the bloodiest conflict in American history. The issue of slavery was at the heart of Southern secession, driving questions of states’ rights verses federal rights and the vast economic differences between North and South. Ultimately, the 1860 election of Abraham Lincoln as President of the United States on a platform that emphasized abolitionist politics literally divided the nation. On 22 September 1862, Abraham Lincoln signed the Emancipation Proclamation, freeing enslaved people in the Confederate States. This did not officially end slavery by law (the Thirteenth Amendment to the Constitution did that, in 1865), but it was an important first step that emphasized ending slavery as a goal of the war and freed enslaved people in the Confederacy as the Union Army advanced. After four horrific years of fighting, Confederate General Robert E. Lee surrendered to Union General Ulysses S. Grant on 9 April, 1865. The war ended and the Confederacy dissolved; slavery had ended. But there yet remained a long struggle for economic recovery in the South, and although slavery was now officially over, African Americans were denied equal rights and the protection of the law in most of the country. Issues of civil rights and race relations, as well as how this nation governs itself, continue to be debated, and the events and politics of the Civil War still shape our world today. In the Monsignor William Noe Field Archives and Special Collections Center, we have several collections that deal directly or indirectly with the history of the Civil War. Highlighted below are Rare Book materials, the Seton Jevons family papers, the Salt family letters, and the Confederate States of America Treasury bond. Four book collections, totaling almost 2,500 volumes, focus on secondary sources analyzing and interpreting the conflict, its causes, its characters, and its impact. 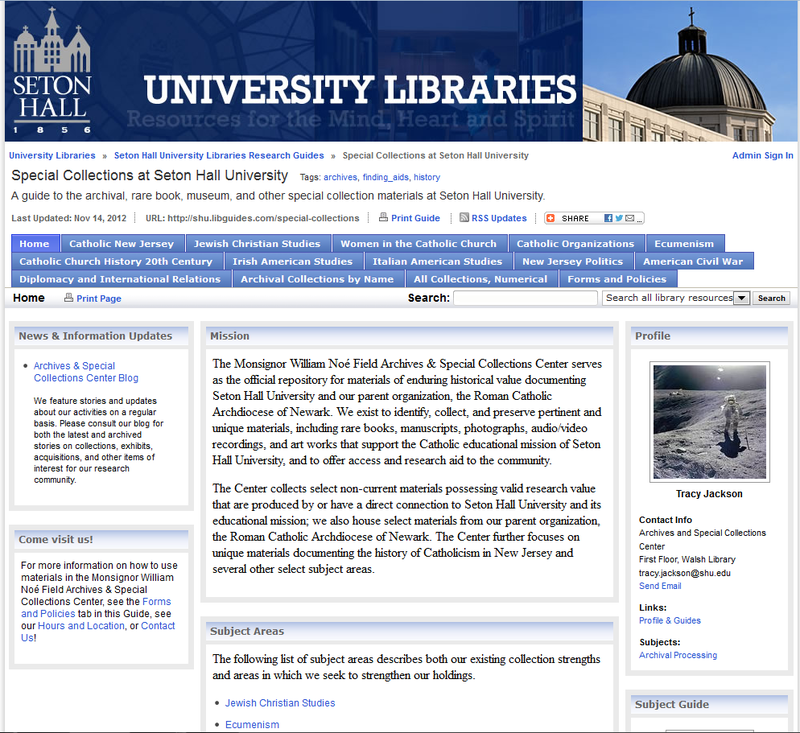 The Reverent Pierce Byrne Civil War collection, the Gerald Murphy Civil War collection, and the Schoch Family Civil War collection include numerous books on a wide variety of Civil War topics, while the Julius C. Landeheim Lincoln collection includes books and print materials on the 16th President. Several note-worthy books from the period immediately following the war are in these collections, including John Abbott’s The history of the Civil War in America and Joel Headley’s The great rebellion; a history of the civil war in the United States, both published in 1866. The Byrne collection includes multiple issues of Harper’s Weekly, which gave detailed accounts of the battles and events of the war, often accompanied by woodcut illustrations. The Gerald Murphy collection includes a medal bearing the likeness of Ulysses S. Grant and a facsimile of the original document commonly known as the Treaty of Appomattox, written by Ulysses S. Grant on 9 April 1865 and detailing the terms of the surrender of Robert E. Lee. The Landeheim collection includes early Lincoln biographies by Ward Lamon, Life of Abraham Lincoln from 1872, and William Henry Herndon and Jesse William Weik, Herndon’s Lincoln from 1889. The Seton Jevons family papers is an extensive collection of archival material including family letters discussing the Civil War and its impact. Two Seton brothers, William Seton, Jr. and Henry Seton, both grand-children of St. Elizabeth Ann Seton, fought in the Civil War on the Union side. William Seton, Jr. was a captain in the 4th New York Volunteers and Henry was also a captain. The collection includes correspondence between William Seton, Jr. and his parents and sisters during the war, as well as letters between two members of the Jevons family, Thomas and William, who lived in England at the time. Thomas Jevons later married Isabel Seton, sister to William Jr. and Henry and another grandchild of St. Elizabeth Ann Seton. In the correspondence of the Seton brothers, William Jr. and Henry, there are notes and letters from enlisted men and fellow officers requesting leave or discussing business, as well as from each other and family members. William Jr. was injured in combat in 1862, and several letters refer to the effects of this injury. The Jevons brothers, William Stanley and Thomas, were living in England but wrote frequently to each other and discussed the events in America as news of the day. They had differing opinions on the possible outcome of the war, and neither seemed to think very highly of the United States government in general: William S. wrote in a letter dated 5 August 1861, possibly reacting to news of the Battle of Bull Run, “I had no doubt and do not now doubt that the North have the physical power sufficient to win ultimately, but it might take ten years or so, something in the style of English wars, and you may judge what chance there is of Yankees remaining of one mind for 10 years.” Six months later, on 12 February 1862, Henry wrote, “… though I think that we have hardly realized what a blow the rebellion is to the Northerners, yet I cannot but believe it is a lesson that will do them immense good, and that instead of one immoral badly governed country, we may within the next fifty years have two tolerably respectable communities.” While they both turned out to be incorrect in the details of their predictions, their opinions offer unique insight into foreign perspectives on the war. Several of these letters are in the process of being digitized, while some images from the collection are already online, including this photograph that includes Thomas E. Jevons and Isabel Seton Jevons. A newly processed collection of family letters, the Salt family letters, gives a different first-hand look at life during the Civil War. William Salt, Jr. was teaching school in an Army fort in Arkansas at the outbreak of the conflict, and he wrote his sister to describe the events surrounding the transfer of the fort from Union to Confederate control. We know that Salt, a New York native who later became Father William Salt, a teacher and administrator at Seton Hall College, was conscripted into the Confederate Army and served for some time before making his way home to family in New York on foot; the collection of letters does not directly document this period of his life, but the letters describing Arkansas at the start of the war are detailed. Other members of the family, living primarily in New York at the time, discuss life continuing on despite the conflict, and mention in passing history-altering events. A cousin of the Salts, Elinor Gustin, comments at the end of one letter full of family updates, including where several male relatives are stationed: “These are awful times, who of us ever expected to see such a state of affairs in our once glorious country.” She then mentions the “great excitement” caused by the Emancipation Proclamation before calmly reminding her cousin to write back. Several of these letters (but by no means all) have been digitized, and while the majority of the collection dates from the post-war years, these first-hand accounts of life during the war paint sharply different pictures of North and South. Another unique item dating from the Civil War is the Confederate Treasury bond, discovered at Seton Hall in 2003. The bond was issued by the Confederate Treasury in February 1864, one of the last group of bonds to be issued by the increasingly desperate Confederate government as it attempted everything possible to continue funding a war that was going very badly. Issued for $1,000, the bond was for a period of thirty years and would have allowed the collection of thirty dollars ($30) in interest every six months. Interestingly, the first two interest coupons are missing, suggesting that whoever purchased the bond was living in the South at the time. The exact provenance of the bond is unknown, but was discovered in a safe in the Office of the President; given that it seems extremely unlikely that the President of Seton Hall College (Reverend Bernard J. McQuaid was President from 1859-1868) would or could have purchased the bond, it was most likely stored there for safe-keeping years later, before the Archives were formed, and then forgotten. This item has not yet been digitized. Of course, even the items listed here have more information to share, and there is plenty of additional material to explore in the Archives. After 150 years, there is still a great deal to learn about and from the Civil War and how it has shaped our nation. To start your exploration, email us, call us, or make an appointment to view materials in person. 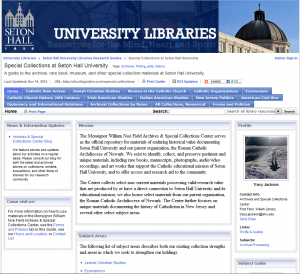 And don’t forget to check out the ever-growing Digital Archives and Special Collections Center!